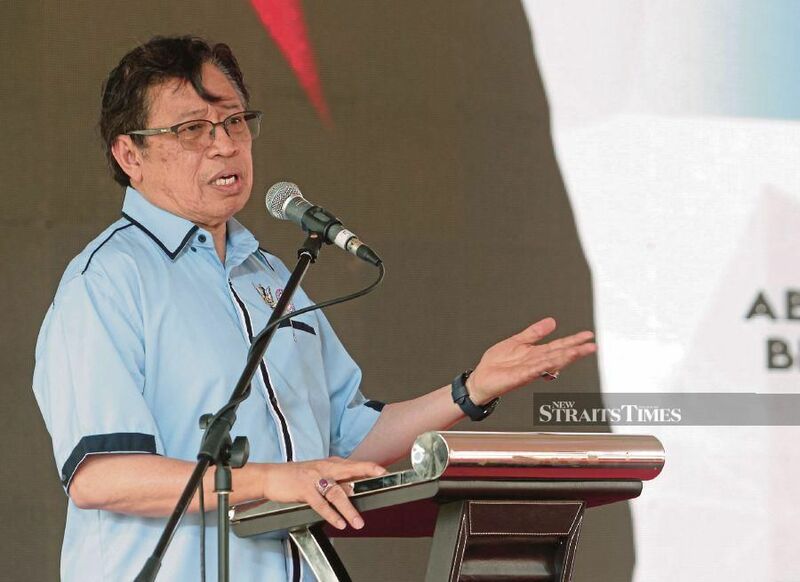 AS if adjusting to a highly unaccustomed role as a state in opposition to the federal government following the general election last year was not disruptive enough, politics in Sarawak is about to get even more roiled. The proximate cause is Parti Sarawak Bersatu (PSB). It was formerly the United People’s Party, an offshoot of the Sarawak United People’s Party (SUPP), now a component party of the state ruling coalition, Gabungan Parti Sarawak (GPS). PSB president Datuk Seri Wong Soon Koh continues to sit as a senior member of the Sarawak cabinet despite the fact that his party is outside the GPS, fuelling resentment and suspicion that the main GPS party, Parti Pesaka Bumiputera Bersatu (PBB), is “deliberately coddling” the breakaway party and in the process weakening SUPP, which traditionally has brought in Chinese voters to the ruling coalition. PSB upped the political ante in recent weeks by accepting Datuk Masir Kujat, the incumbent MP for Sri Aman, and several other senior members from another GPS party, Parti Rakyat Sarawak (PRS) as members. This is unprecedented and has heightened political tensions within the Sarawak government. Although PSB sought to justify its decision to poach members and in particular an elected representative from GPS by pointing out that PBB had previously accepted three sitting state assembly members from another GPS partner, the Progressive Democratic Party (PDP), the latest move is especially audacious given that it is not even officially a GPS member. PSB has now drawn the fury of three of the four parties in the GPS family. The party that matters the most, PBB, has not helped matters when its president and Chief Minister, Datuk Patinggi Abang Johari Abang Openg, refused to be drawn into any public judgement on the move. Instead, Abang Johari had stated that he would discuss the “crisis” with PRS and the other two GPS parties before deciding the next course of action, if any. It goes without saying that the health and vitality of any political coalition will be best preserved if individual member parties are left to sort through intra-party problems (particularly over the maintenance of discipline within the ranks of each party) internally. Outside intervention should only be the final resort and upon official invitation by the party concerned. If the chief minister, as head of the state coalition, chooses to be silent on whether member-poaching by parties within his government is healthy or ethical, conclusions will be drawn that such moves are condoned, if not even encouraged. This can only lead to further havoc within the coalition as inter-party trust dissipates. Individual party leaders will see their powers to enforce discipline within their party ranks undermined if disgruntled party members and leaders can simply walk out to form a new party or join another existing party officially or otherwise aligned to the ruling coalition with impunity. To be sure, PBB — as the preeminent partner in the GPS-plus coalition — will have little to fear even if its three official partners combined to demand (not unreasonably) that action be taken against PSB. Such is PBB’s numerical and therefore political strength within the state assembly that it can quite safely disregard any such demand. But if PBB runs roughshod over its three official coalition partners simply because it can, it may be storing up trouble, perhaps not in the immediate future but over the longer term. Party loyalties may remain fluid into the foreseeable future primarily because voters care more about immediate bread-and-butter issues affecting them than whatever over-arching platforms or principles individual parties may espouse. Thus, if voters’ primary motivation in elections is to “follow the money” as it were, it is only natural that the primary calculation of incumbent and potential elected representatives may be to go where the inducement or possibility of electoral (and even personal) patronage is most readily available. That said, the lesson of Umno’s downfall should not be lost on PBB. A myth holds that Sarawak politics is different from the peninsula’s. This is false as state politics is also mostly organised along communal lines. The Umno lesson therefore has relevance.